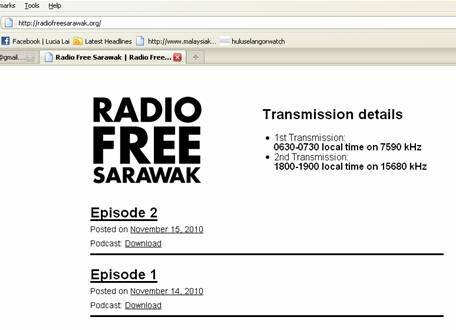 Radio Free Sarawak has a web site now! Radio Free Sarawak start podcast today! You can download missed episodes from now on! See here. The web site allow you to download the podcast of the radio in case you can’t receive the radio transmission for whatever reason eg not around when the radio program go to air. Your reception reports are important to help improve the radio transmission-keep sending it to us via democracy4now@gmail.com.